Life as a Blogger: My Perfect Day at Home...!!! Hope you all are doing great. Today I will share my routine and life as a blogger with you all. I will be sharing how I usually spend my day at home as a blogger, what tasks I usually carry out, what things I usually do and what's my idea of a perfect day at home. So let's get to the post and see how I spend my perfect day at home. So on my perfect day at home, I usually wake up around 11 AM. This is when I don't have to go to work or anywhere else. The first thing I do in the morning is checking my insta feed with some toasts, Nutella and a cup of tea. I try to find anything positive and good in each day as I truly believe there is always, always something to be grateful for in each day. I also share some inspirational or motivational quotes on my social accounts often to spread positivity and happiness. Once I am done with my breakfast/brunch, I set my room, my bed and vanity etc. I like my things to be really organized and clean. So the first task in the morning is to clean and set my room and vanity so that it looks perfect, just the way I like it. Then I check what products are currently in testing phase and usually apply some of those products on myself in noon so that I can properly test them all day long. At times, I also apply a bright lip gloss or my favorite lipstick to brighten up my day. Mail days are the best days for a blogger. If any mail/parcel has to arrive at my place it usually reaches in the morning or till noon. Mails definitely brighten up my day and my mood. Around 1:00 PM I usually open my laptop, check my blogger dashboard, my Facebook page and other social accounts. I check and reply to any pending mails, comments and queries. I also read some new posts by our lovely fellow bloggers and comment on the posts whenever I get time. If its a "Post Writing" day, I quickly check the drafted post, finalize and publish it on my blog and share it on all social accounts and then head toward the next task. 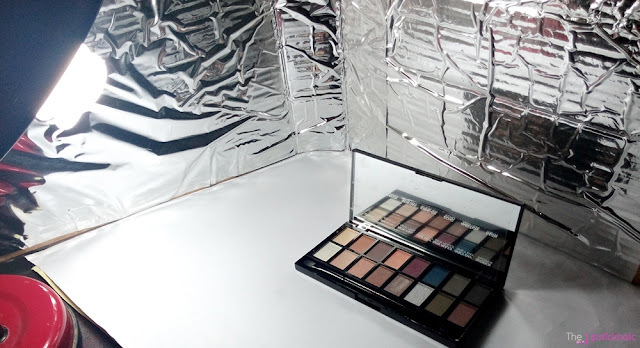 If its a "Product Swatching" day and I have to take photographs of swatches or lip swatches, I usually go outside in sunlight or near my window to take clear pictures of the swatches in natural light. Then I get busy in the "Product Photography" corner in my room. It is a study table with a bright lamp, some background charts, papers and other relevant things for photography. I love product/makeup photography and really enjoy doing it. I usually have to take tons of shots of a product or swatch. The I go through all the pictures and select the best shots among them to publish in my posts or social profiles. I do some basic editing or adjustments with the pictures if needed, then watermark and finally save the pictures for my upcoming posts. Till 3:00 PM am almost done with my posts on social networks, product photography and swatching etc. I then take a shower to relax and then have lunch with my family. After lunch, I once again get back to my laptop to surf the net, check out some other blog posts, check my social accounts, do some other activities and work on any pending posts or pictures till evening. At 6:30 I take a tea break with family and then watch TV with my Mom. At night around 9:30, me and my brother usually crave for something yumilicoius especially pizza. Food Panda is the best online food ordering service in Pakistan. The Food Panda Mobile App is even better and is easier to use. There is a great variety of restaurants with different cuisines to choose from. 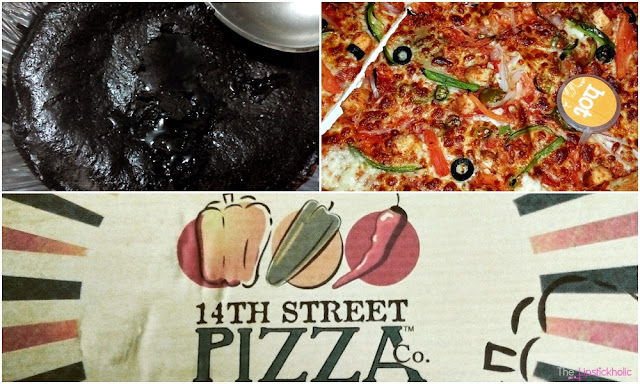 Being a pizza lover, I order my favorite 14th Street Pizza very often. I just love love love their chocolate lava cake. Thanks to Food Panda app for making online food ordering even easier. I enjoy my pizza at night while watching TV or my favorite movie. Movie and pizza is definitely the best combo. A perfect ending to a perfect day. So that's how I usually spend my perfect day at home as a blogger. Hope you liked the post and enjoyed reading it. Don't forget to check their Website. Also download and try the Food Panda Mobile App at your mobile for a convenient yet great online food ordering experience. Disclaimer: This is post is written for Food Panda blogger's contest. However, I have shared my honest opinion. For further information read my complete Disclaimer & PR Policy. Very different and lovely post. I liked and enjoyed reading it because I love to know more and more about you sweetie :) love those positive quotes you shared with us and I have a request share your favorite movies plz. Alhamdulillah :) Thanks a lot dear. Glad you enjoyed the post. It was fun reading post. 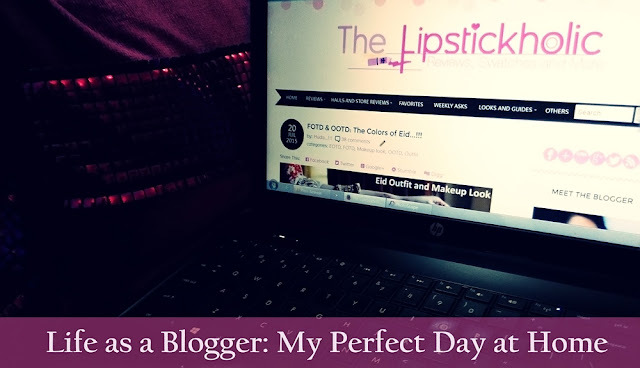 Good to know about your perfect day as a blogger. Nice reading your routine life as a blogger. But one thing you didn't mention that if you have to go out then how do u manage with your blog activities. Otherwise it's a lovely post. Loved to read! <3 Already wanted to know..
Lovely! you always impress me with your photography skills! Lovely post of a lovely day by a lovely blogger... a lot of love from a lovely friend! 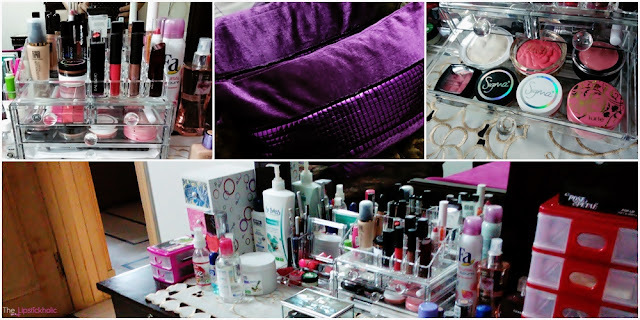 This post shows how a very sober yet very self loving and tidy blogger you are ♥♥. its such a different post ! Loved reading it . Such an interesting post dear,its amazing you give so much attention to details in your blog,as a full time hosewife & mom I can't bring myself to this kind of perfection,hats off to you and other amazing fellow bloggers for putting so much effort into blogging. Good work huda, hats off to your dedication. You are working like some of the professional bloggers, who are setting new milestones in the field of blogging. Love you honey. I have seen many bloggers who don't support and appreciate other fellow bloggers, bt you are such a darling....love the way you work and move on with your fellow bloggers. Good bless you. Ameen. And thank you so much Kanwal for your kind words and appreciation. Your words made my day :) Am so blessed to have lovely fellow bloggers like you around. Wish you all the best with blogging and everything in life dear. 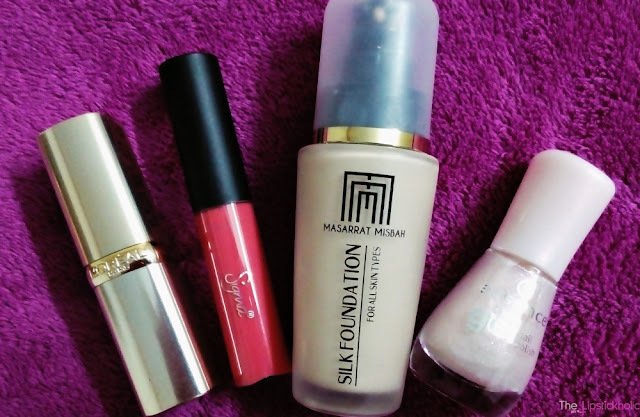 FOTD & OOTD: The Colors of Eid...!! !